know this you may be not included in this society. the owner of this society ish .jellyshard. 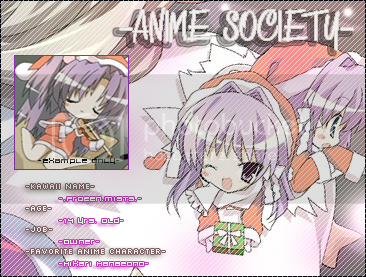 make a kawaii club banners. a 2nd placer,and a 3rd placer! r u waiting for? participate now! 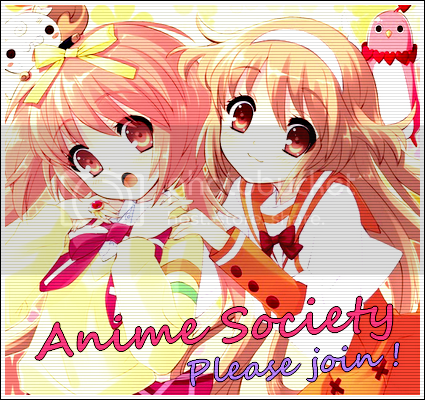 Login or register to add anime society as your friend! Konichiwa ! 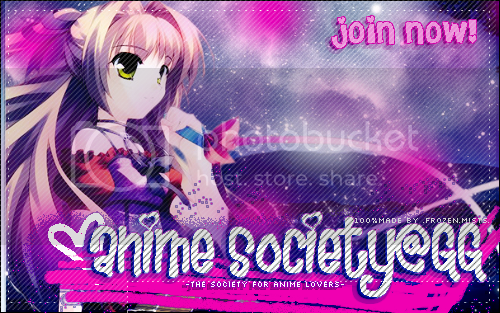 I love animes so much & I love this club too ! hi, shootingstar. here. parang inde na active ito aa? 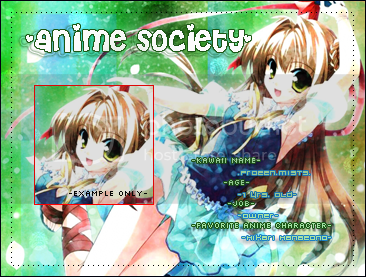 can i, shootingstar., change mt picture in my member card? i'll give you the new picture asap. is this profile really updated? Thanks! Added you to our page! At okay lang! appreciate ko talaga! at sige mag hihintay ako. pero pwede din kung ibibigay mo bukas! at okay lang!musta ka na? Gusto ko yung ika tatlo!